I continue to explore what causes the ‘altered state’ that is created when we are caught in a romance scam. Its not only others who wonder “how could she do it?” Victims also wonder about what they have done and why, even well after they have realised they have been scammed. Oxytocin is a peptide hormone and neuropeptide. Oxytocin is normally produced by the paraventricular nucleus of the hypothalamus and released by the posterior pituitary. That’s way to technical for me. But my ears pricked up recently when I was listening to the ABC’s The Science Show, and Alan Harvey was talking about the positive energy experienced by group singing. 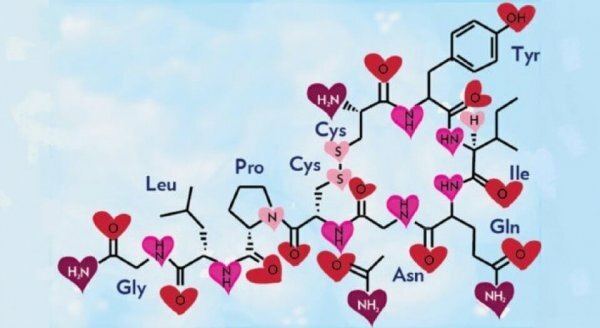 He linked this to Oxytocin. Here’s what he says about it. All of what he suggests as positive responses to singing together can also be attributed to victim behavior during a scam. Further reading on oxytocin cites greater generosity and co-operation, heightened altruism and reduced anxiety as ‘pro-social’ behaviors linked with higher levels of oxytocin. I know from experience that when inside a scam, we are committed to our loved one/scammer, and will do whatever it takes to support or rescue them from the many sorts of trouble they are in. Afterwards we wonder what happened, why we didn’t see what was going on, why we rejected warnings from friends, and stepped over any inconsistencies or red flags that there were. We don’t understand what happened even when looking back on it. Perhaps because the rational part of our brain was dis-engaged at the time. Instead our brain was immersed in the fog of oxytocin. Afterwards we mostly blame ourselves for what happened and loose trust in ourselves. After all, we actively gave the money. Or did we? If the scammer can engage the victim in cybersex, this is even more enhanced, so some of the research says. (2) Even more oxytocin induced ‘bonding’ occurs. I know that from experience too. As well as the grief, shame, despair and financial struggle that goes on after a scam, in the periods when we are alone with ourselves, we wonder what happened, why did we do it. It is a great mystery even to those of us who have been in it. 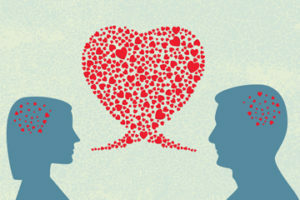 We need to shift out thinking to emphasise that the romance aspect is a deliberate and critical foundation to the scam, in order to generate the oxytocin that lets scammers take control of us. Once the oxytocin is generated scammers are free to use all of the pro-social effects of oxytocin to have us part with our money. Syndicates of scammers have tried and tested which words and mechanisms lead to the best results, causing us to fall in love more easily, deliberately, so they can control us. Yes, perhaps part of us wanted to fall in love. But that’s separate from the manipulation of that state and the deliberate abuse of consequences by someone else. That abuse is not OK. We understand abuse of power when it is say, between a teacher and a student. This is another form of active abuse of power. Its emotional manipulation as the ultimate power game, the winner of the game taking all the money, literally.